I was trying to catch a cab from Eunos to head to St Theresa’s Church (Bukit Purmei) and was running a bit late. I was glad that a Comfort taxi driver was willing to take me there despite being late for his son’s 21st birthday party at Changi so I apologised and expressed that I was grateful. If only I knew he would rain down on me his father-daughter issues and constant racist remarks about MY OWN RACE and about other “darker” races, I wouldn’t have stepped into his cab. Since we are talking about race, he is Chinese. Here I was, already in a calm and peaceful mindset for chuch but when I got out of his cab, I wanted to punch him. I was so mad and in such need to exit his cab, I didnt take down his car plate number. Anto: Hi Uncle, St Theresa’s Church at Bukit Purmei please? Taxi Driver: Okay, Uncle is actually going to Changi for my son’s 21st birthday already but nevermind la, I make one last trip. Anto: Eh uncle sorry for making you late but thanks though. Taxi driver: Bukit Purmei is near the C…C.H.I.J school right? The Kellock? Taxi driver: Got one church there right – on the hill? Anto: Yeah, I am going there. Taxi Driver (looks at me in the rear view mirror): Huh how come you going there? I thought Malay dont go there. That is a church leh. Anto: For church la, this week is Holy Week and I am not Malay. Taxi Driver: You not Malay ah? You what? Anto: Of course I am sure la! I would know my own race right? Taxi Driver: Okay okay, you know what you are la ah..? No one can say you are.. something you are not. Anto (trying to ignore him now): Yup. Conversation starts about his kids and other races.. Taxi Driver (trying to change topic): After this I rush to my son’s birthday. Uncle has to work, dont need to be there the whole time la.. He got his friends and girlfriend so I work first la. Taxi rental is very expensive now you know and Uncle can just go and show his face la right? Anto: Oh yeah, you can do that I guess. Taxi Driver: My son is okay, no problem. My daughter ah…aiyah give Uncle so many problems. Taxi: Yeah! Wahh first ah..she date this Malay boy. Now she date this Indian boy you know?! Anto (appalled): Okay..what is wrong with that? Taxi Driver: Aiyah you dont understand la. Anto: What do you mean? Anto: What does this have to do with the Malay and Indian boyfriend that is giving you so many problems? 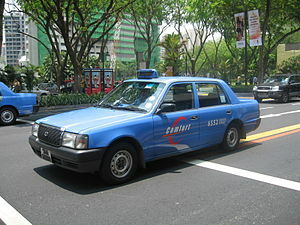 Taxi Driver: She first say dont like this Malay boy, then she date this Malay boy then break up and say he is useless. Then she became friends with this Indian boy. He is a doctor la but aiyah only polyclinic doctor. Now she is dating him ah. Anto: Whats wrong with her dating a doctor?! You can say your daughter is dating a doctor what? By the way, once they graduate from medical school they normally start out as polyclinic doctors before doing their own practice. Taxi Driver: Oh is it? Aiyah girl, you dont understand. Very hard la my daughter. I do so much for her, send her to work and to school and bring her home ah, she dont appreciate. So long she still argue swith me.. then she say I am racist when we talk about her relationships. Anto: Uncle, you are racist. She is colour blind..we are in Singapore, no one looks at colour anymore and neither should you. Is she happy? Anto (suddenly became the FOC therapist): If she is still with this guy, she seems happy. If she is angry with you after so long you must have done something in the past then she hasnt forgiven you for. Taxi Driver: How girl, what should Uncle do? Anto: Both of you need to go for counselling together and solve your issues. I would have felt very very uncomfortable to be in that cab. Yeah i was…i was late already, if not I would have gotten out and waited for another cab. omg what an idiot he is. i wish i could click my fingers and all racist people will drop dead.